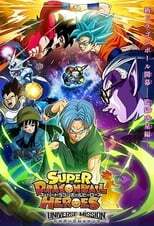 Where can you stream Super Dragon Ball Heroes? On 2018-07-01 Action & Adventure/Animation TV Series Super Dragon Ball Heroes first aired on YouTube. Written and created by Akira Toriyama, and produced by Fuji Television Network, Super Dragon Ball Heroes will return and was last broadcasted on 2019-03-07.